How to track the iPhone alien and your own? Apple developers have provided the ability to track both your own iPhone, and the device of a friend, relative or any other owner of an Apple smartphone. There are two effective ways to do this. First, you can use the mobile application Find My Friends, which allows you to track the position of iPhone on the map. In this case, we are talking about the device of friends, relatives and so on. Secondly, you can track your own iPhone if it was stolen or lost. To do this, you must use the application "Find iPhone". This option is in Apple devices and, moreover, there is its Internet version. How to track someone else's iPhone? It should be noted that situations where it is necessary to find out the exact location of a friend, acquaintance or relative, are quite common. In these cases, you can use the useful feature of tracking someone else's iPhone phone. For example, a person is scheduled to meet in a bad place. Instead of listening to the interlocutor for a long time about how to drive or walk to a certain point, you can use the free Find My Friends application. This program will indicate the location of the user iphone. You can install the application both on your phone and on your iPad. IPhone tracking with this program is subject to several requirements. First, the application must be installed on both devices - the one from which the tracking is performed, and the one whose geographical position is determined. Secondly, the mobile phone number of the device to be tracked must be in the contact list of another user. 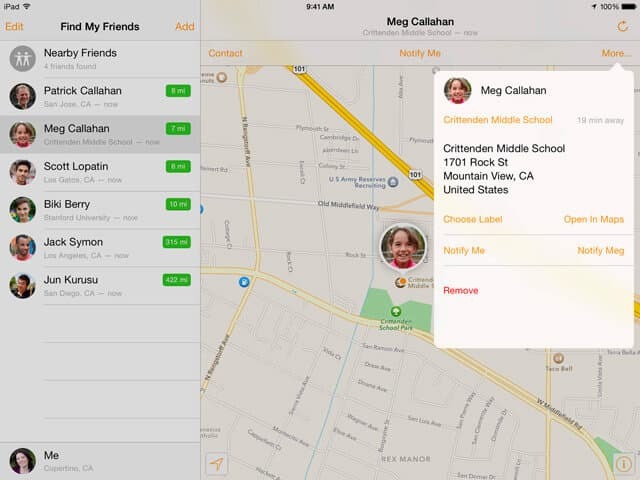 If the conditions are met, then you need to start the Find My Friends application, and then click the "Add" button in the upper right corner of the program interface. Thus, you can send an invitation to another person, after accepting which the user will be able to track the geolocation of another subscriber on the map. How to track your own iPhone? To track your own iPhone you will need such a convenient option as “Find iPhone” or as it is also called Find My iPhone. Many people ask whether it is necessary to have access to the network for this functionality to work. The answer is yes. “Find iPhone” cannot work without an internet connection. To transmit data about the coordinates of the geographical position of a mobile device, access to the web is simply necessary. 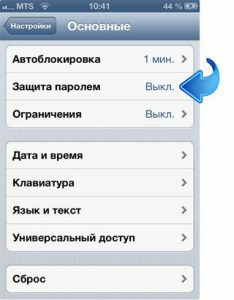 In addition, to activate all the commands that are transmitted through the "Find iPhone", you also need the Internet. These include turning on lost mode, playing sound files, or destroying personal information. The first step is to make sure that the geolocation option is activated in the privacy settings. Then you should enable iCloud and the “Find iPhone” option. This can be done in the system settings section of the iCould tab. Of course, such measures will not protect the owner of the phone from being stolen or lost, but will help significantly simplify the task of finding such a device. Simply put, "Find iPhone" will allow you to get ahead of the location of the iPhone. True, some attackers in addition to basic skills have quite good abilities in working with Apple devices. In order for the thief to not be able to disable the "Find iPhone" option in iPhone, you need to set a password to unlock the smartphone. To do this, go to the settings section, “Basic”, then go to “Password protection” and select the “Enable password” menu item. How to find out the location of the iPhone? There are several ways to track the location of your own phone using the "Find iPhone" option. The first option involves the use of the functional site iCould.com. 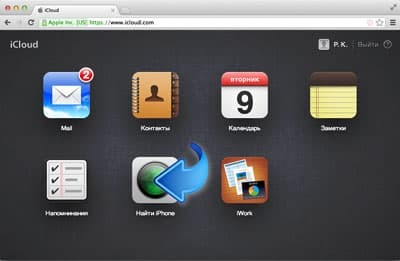 On this page, you need to launch the Find iPhone application and use it to find your own device. 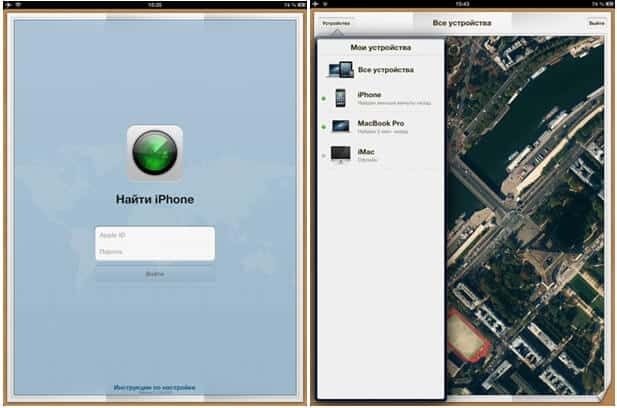 The second way is to launch the “Find iPhone” mobile application on any device with iOS operating system. 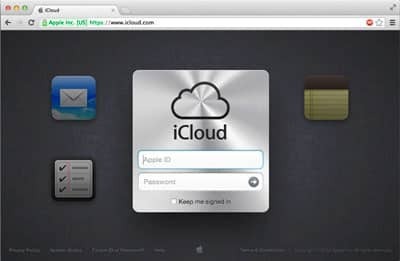 Provided that the iPhone was previously registered in the iCould system, and is currently connected to the Internet, “Find iPhone” will show the location of the device on the map. In addition, if the device does not have access to the World Wide Web, you can turn on receiving a notification at the moment when the phone appears on the network. This informational message will be sent to the e-mail.